Everyone loves a good plot twist! If successful, it can turn an average movie into an excellent movie. If done badly, it can ruin the whole thing though. Twist movie endings must be completely unexpected. Any hint of what is coming next and the twist has failed. Only a truly skillful writer can create one and only a truly skillful director can execute one. Some of my favorite movies have twist endings because it really does add something more to the viewing experience. I still remember how shocked I was after watching the usual suspects for the first time. So here are my top 10 twist movie endings you won’t expect. 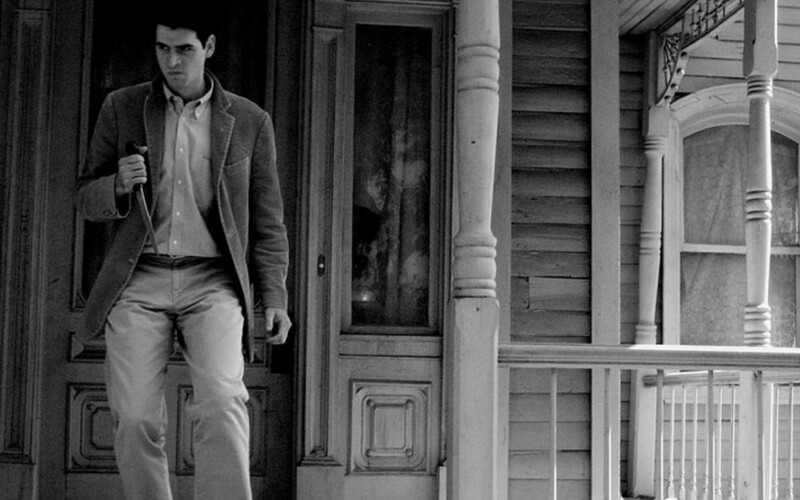 Psycho has to be the most classic of all twist movie endings. Created by Alfred Hitchcock, it follows the story of a young woman who books a night at the Bates Motel. While there, she is brutally attacked with a knife. The attacker is not shown in the shot, and the mystery is who it was. The general impression of the film is that the mother of the Motel worker was the attacker. He said she lives in a nearby house. It wasn’t the mother, she was dead. The motel worker has split personality disorder and he believed he shares his mind with his long dead mother. In the final scene, he attacks the main character dressed up as a woman. It was really chilling. The Game is one of my favourite mystery thrillers of all time, it’s pretty gripping. It follows the story of a successful businessman who is given a mysterious birthday present from his distant brother. The gift is the opportunity to take part in a real-life game that has deadly consequences. Towards the end of the night he accidental murders his own brother. Turns out the whole thing really was just a game. No one died or was ever in danger. Although it did seem uncertain for a while. The game was intended to teach the main character the value of life and having fun. Donnie Darko is a confusing movie. It follows the story of a teenage boy who is constantly receiving visions of a massive humanoid rabbit. The rabbit influences his behaviour and turns him into something of a deviant. The strange thing is that this whole thing occurs after he is almost killed in a massive plane crash. To be honest it’s been five years since I first watched this film and I still don’t understand the ending. From what I can gather, the universe dies. It’s impossible to interpret what happened so I doubt anyone saw that twist coming. Planet of the Apes is a classic. In a futuristic time, a group of human astronauts are sent deep into space. After an emergency, they crash land on a distant planet run by Apes. The whole planet is run by monkeys and gorillas, and humans are enslaved by them. The men are soon captured by the apes, but they escape in the hope of finding answers and the route home to Earth. At the end of the movie it’s revealed that they are not on a distant planet – they are on earth. They must have traveled far into the future through some kind of time portal. So yeah… the human species is doomed for enslavement in the near future. The Wicker Man is a cult classic that was disastrously remade recently with Nic Cage butchering the lead role. The original movie was set on a remote Scottish island controlled by neo pagans. A police officer arrives at the island with the aim of finding a missing girl. There is just one problem – the locals will do literally anything to hinder him in finding her. At the end of the film it is revealed to the policeman that the girl is not missing at all. It was all a hoax to draw him into the island for a final pagan ritual. In the ritual, they trap him inside a giant wicker man statue and set it on fire. He was their sacrifice. The Empire Strikes Back is the fifth episode in the Star Wars film series. In this movie, Luke Skywalker is trained by master Yoda, the only being who can train him to defeat Darth Vader. It is now 3 years after the death star was destroyed and the rebels are basically on the run, shifting from base to base as the Empire advances on them. The film is well known mostly for one line: “No, I am your father.” And that’s the twist. Before that, who could have guessed Luke Skywalker’s father became Darth Vader? No one. Se7en is about two American detectives on the hunt of a serial killer who is obsessed with the seven deadly sins from Christianity. With Brad Pitt and Morgan Freeman playing the detectives and Kevin Spacey playing the serial killer, the film had everything going for it. And the twist at the end is brutal! In the final scene, the serial killer leads the detectives deep into the desert with the promise of them finding two dead bodies there. When they arrive, the detectives are presented with a box. Inside the box is the severed head of one of the detectives wives. The detective shoots the serial killer to death to fulfill the seventh sin: wrath. Fight Club tells the story of an insomniac bored with life while he works a boring desk job. He makes the acquaintance of Tyler Durden, a soap salesman and someone who seems like he enjoys life. The two men come together to start a fight club where people literally have fist-fights to let off steam. At the end of the film it is revealed that the two main characters are actually the same man, who suffers from a split-personality disorder. This explains why the second main character was never named. It’s genuinely one of the most gripping twist movie endings on this list. The Usual Suspects has one of Hollywood’s most complex story lines to the point where it’s just difficult to explain. Basically, it’s about a group of career criminals who are being interrogated by detectives for a crime they had nothing to do with. As the film goes on, it becomes evident that this whole thing is part of a huge criminal conspiracy put together by a man called Keyser Soze. It is eventual revealed that one of the criminals being interrogated IS Keyser Soze. Its Kevin Spacey’s character. American Psycho is often hailed as the perfect cinematic portrayal of the boardroom psychopath. It tells the story of a successful wall street exec who simply can’t resist the urge to kill. As he murders a series of victims, his life become more and more chaotic. At the end of the movie, the main character learns that several of his victims are still alive. This leaves him questioning everything. Did he imagine all the murders? Did he just imagine some of it? The movie just ends there without making it clear. It’s the mother of all twist movie endings.